Childe Hassam, Winslow Homer, Edward Hopper, George Luks, John Marin, Maurice Prendergast, and John Singer Sargent are seven exceedingly fine masters of watercolor painting by any standard. 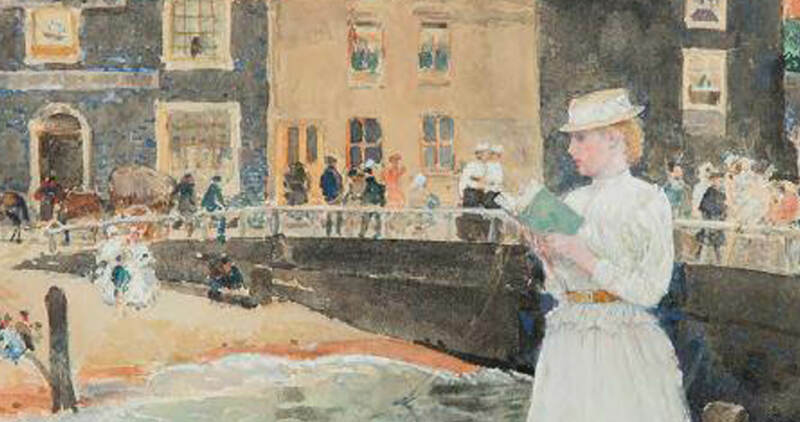 This exhibition showcases Canton Museum of Art’s recent acquisition of Childe Hassam’s 1890 impressionist masterpiece, Bleak House, Broadstairs. Watercolor is one of the most challenging mediums to use; the colors need to be carefully controlled or they bleed into one another. In the century following the Civil War, watercolor painting became an important American medium and it was used more freely and creatively than anywhere else in the world. Together, these seven masters contribute importantly to our cultural heritage and give us a standard of creative excellence that is a vast benefit to all of us. Rarely are all seven of these masterworks on display at one time. On view November 23, 2017 - April 8, 2018.